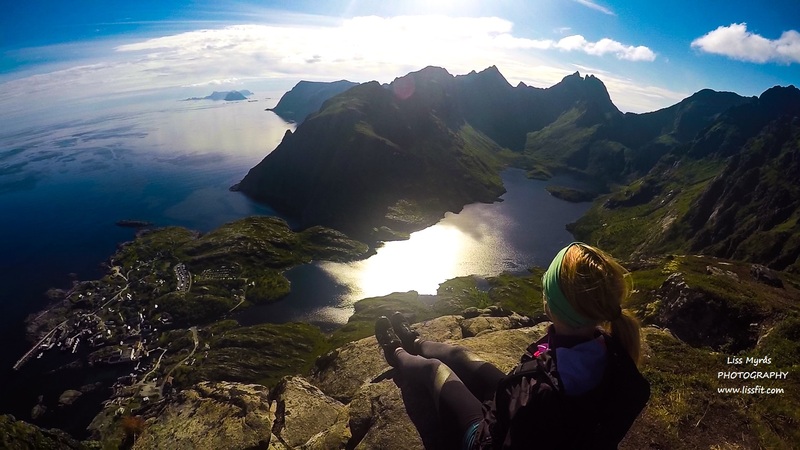 Don’t wanna risk your or other hikers lives just to get a selfie on the glorified Reinebringen? Then Tindstinden for sure is a brilliant alternative. 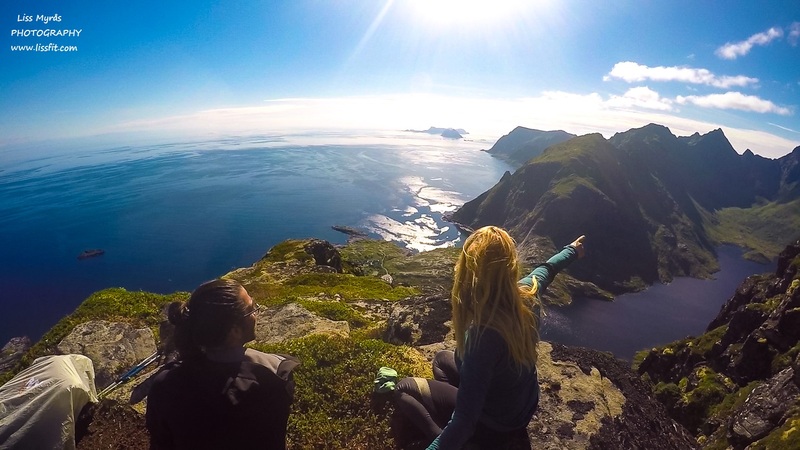 From this mountain top you can, in fair weather that is, gaze towards the mainland or the open ocean with Værøy and Røst islands, towards the wild landscape behind the very end of Lofoten road… out there where the famous Mosktraumen maelstrom is ravaging between two oceans. Early in season I did hike up almost to the top, and puppy Jenta really liked to work upwards the steep trails. But after hauling me and puppy up a rope I decided to go down again. Turned out my puppy have no fear whatsoever of steep sections, and I still did early in season. The weather was rather wet and grey, the trail very soggy some places, and the mosquitos almost made me loco – just one of those days I’m glad we turned. 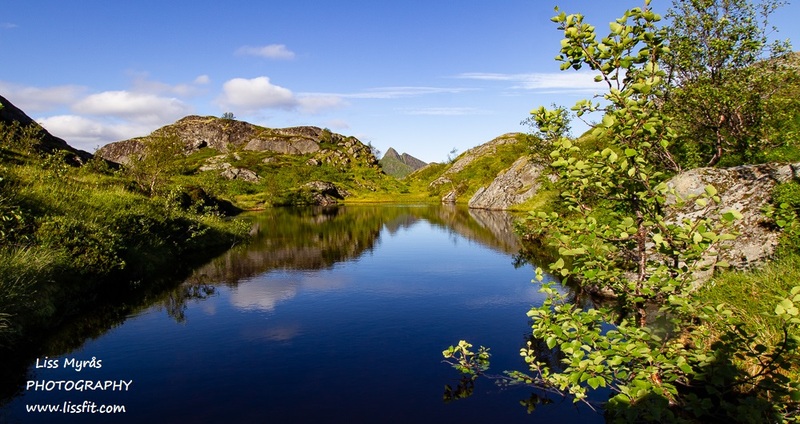 (can you believe that somebody actually claimed that Lofoten is free of mosquitos!). 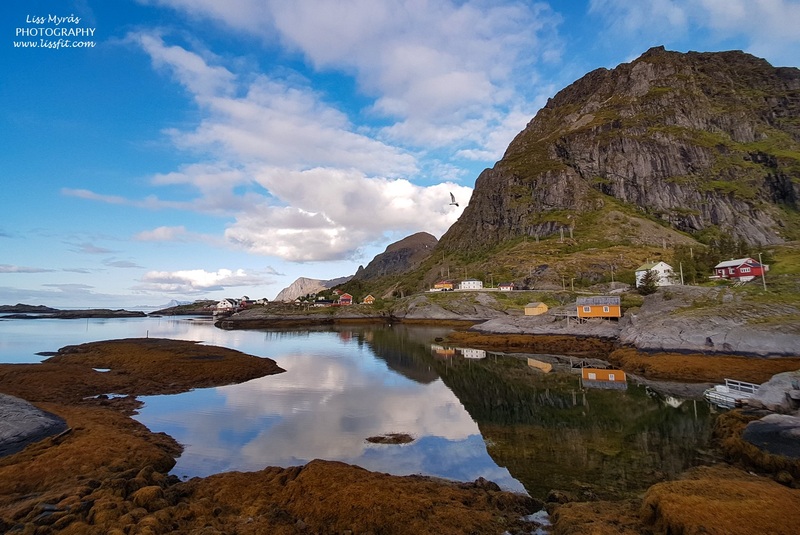 My lil’ cabin was based at the very foot of Tindstinden, so this peak was the first thing I saw every morning from my tiny bathroom window, where it towered through the morning mist. 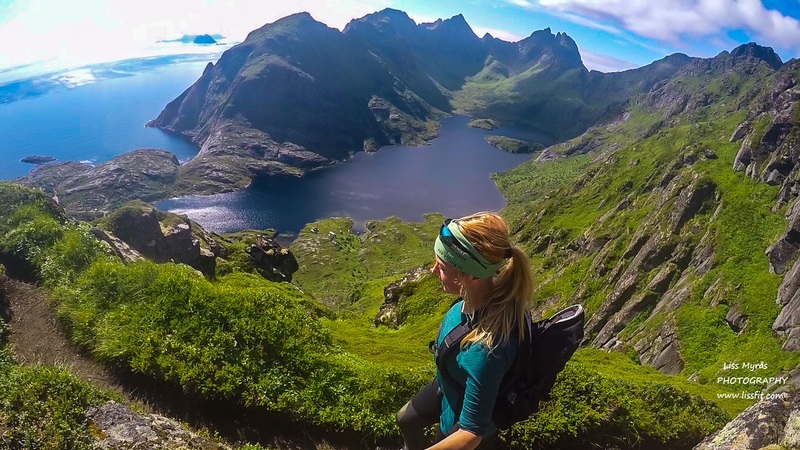 The trail’s starting point (the same as Munkebu) is easily accessible (also by bus) including a parking area and pitching possibilities along Sørvågvatnet lake. 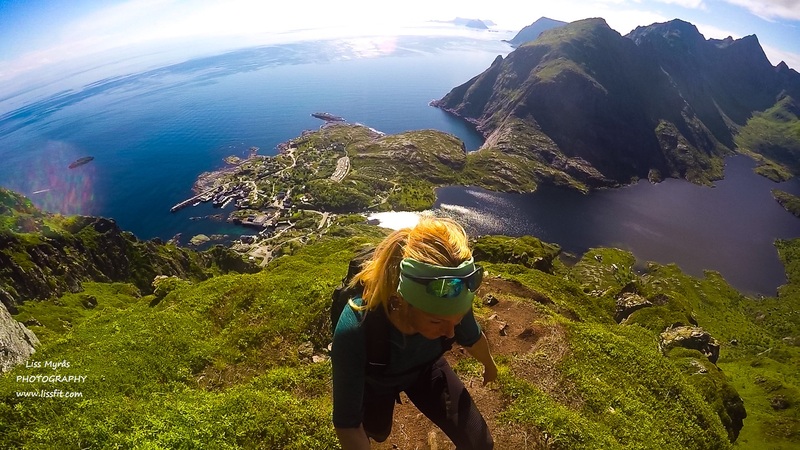 It is a relatively quick ascent (40 minutes) probable because the last part is steeper. Looking down to where I worked this summer… such a beautiful place I for sure will miss! 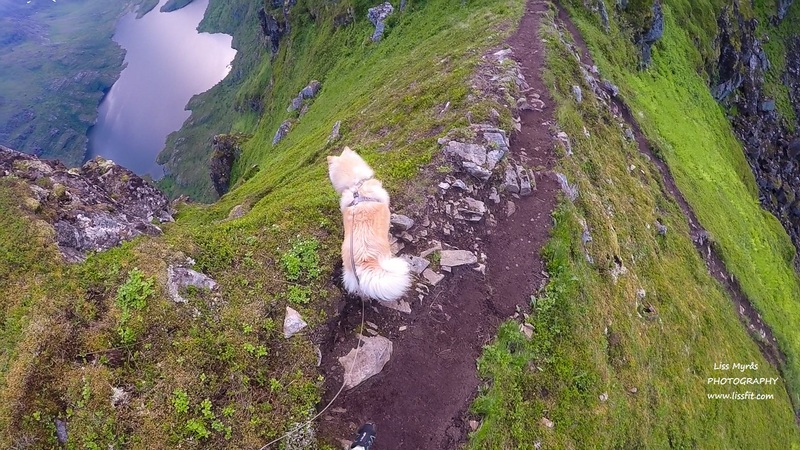 Well, since my supermodel dog was not there to pose, I went ego crazy with my GoPro hog camera, I guess someone had to do it..ha..ha 🙂 ..it’s a good thing I usually have my puppy Jenta on my hikes, she is a natural talent. Incredible! Funny you mention mosquitos, it’s so true, they can really determine the comfort level of nature time. I’m I right in thinking you say you use your puppy as the cameraman? That a really awesome idea. 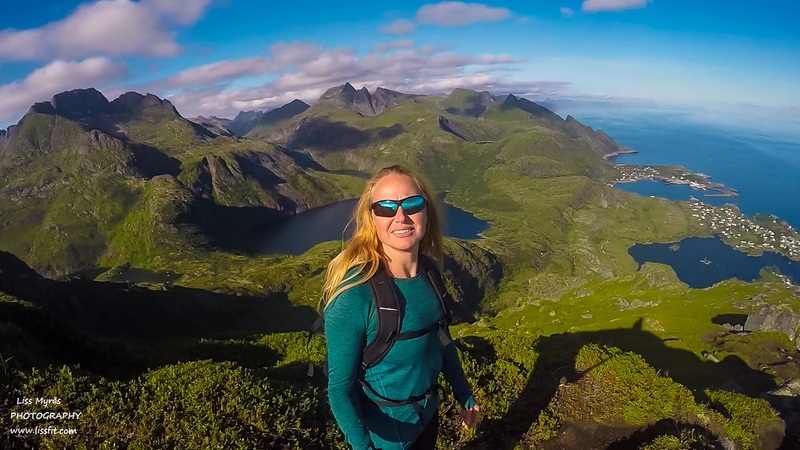 I’ve been thinking that hiking trips are a thing of my past, but these photos are making me a bit nostalgic for that fresh mountain air and sunshine. 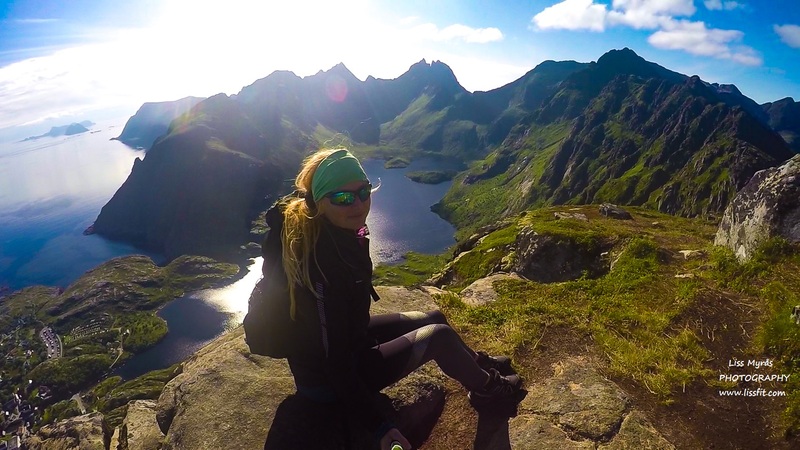 Lofoten, seems to be a dreamland! 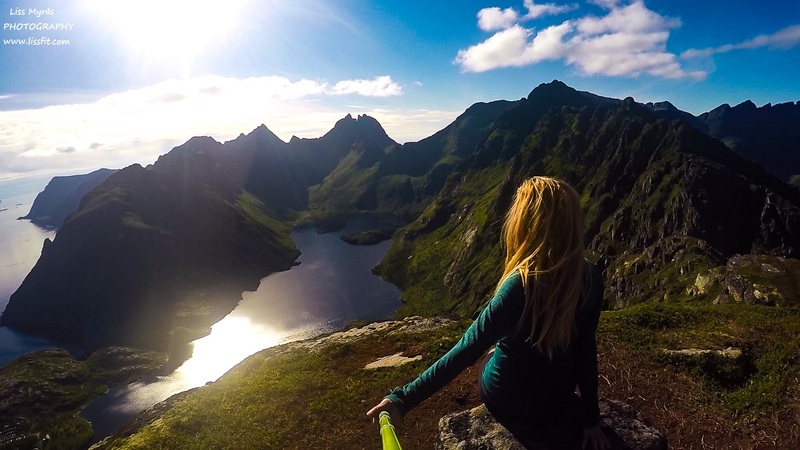 Lofoten,voilà qui ressemble à un pays merveilleux ! Breathtaking! I wonder if there’s a more beautiful place in all the world?